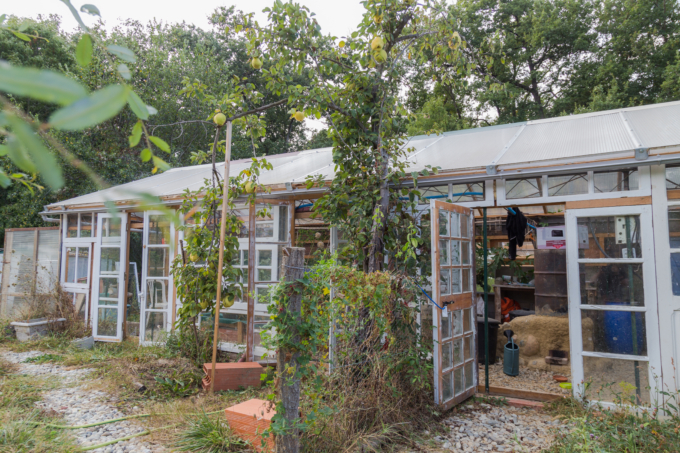 the second permaculture project i am visiting, brings me to france. in the south of toulouse, there is a small city called pamiers, close to the pyrenees and not far from the spanish border. 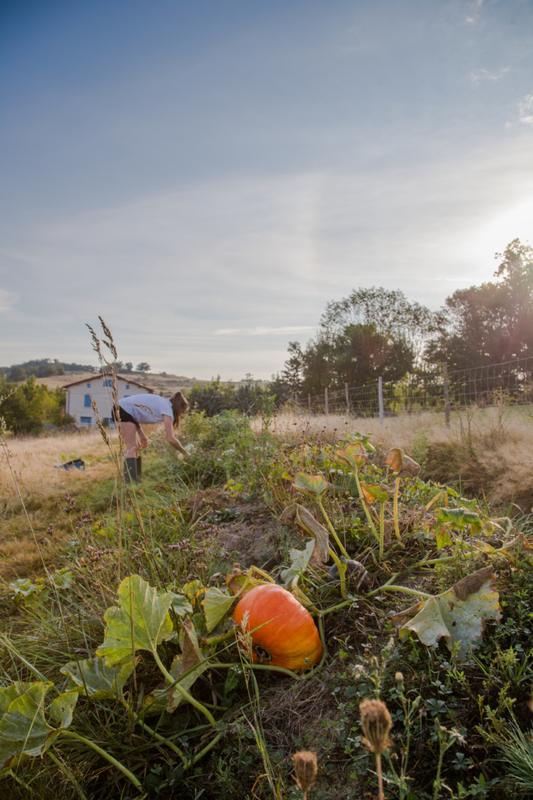 close by, jeanne, a pensioner from paris builds up and owns a farm with 20ha of land. i will help her for a few days and learn more about what it means to grow your own food and take care of animals every day. jeanne has lived in california for 53 years, working in environmental science. she always dreamed of starting a farm once she was retired and settling down in the countryside. 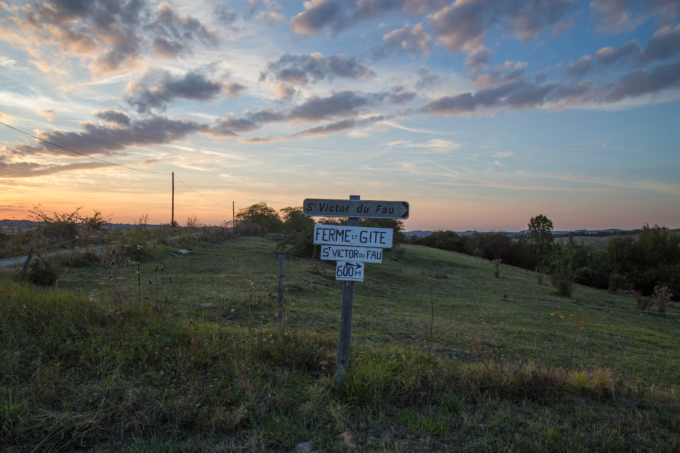 two years ago, when her daughter got pregnant in france, jeanne came back from america and bought this land. my first day starts with a short introduction of the site. the centre of the place is the two floor house. it has a huge kitchen, cooling room to store food, a yoga room, jeanne ́s private rooms and a huge terrace. on the second floor of the main house, there are two apartments that can house 2-4 people which jeanne rents out to travelers. the interiour design is new and created by her daughter. this is part of the business plan to develope the site as a holiday farm. on occasion, the farm will host yoga retreats. in the future, once a surplus of vegetables have grown, jeanne will sell them to those who come here and pick themselves. milk and cheese produced on the farm will also be sold as the production grows, establishment set, and the amount of sheep have grown. there are lots of people helping to improve the site in order to make these plan happen. everyday at 1 in the afternoon there is a big lunch for all people, who help. the food comes mainly from the garden or the local market in town, that we visit on saturdays. sometimes there are only three people to join lunch, sometimes six or more. it depends on how many wwofers are here. 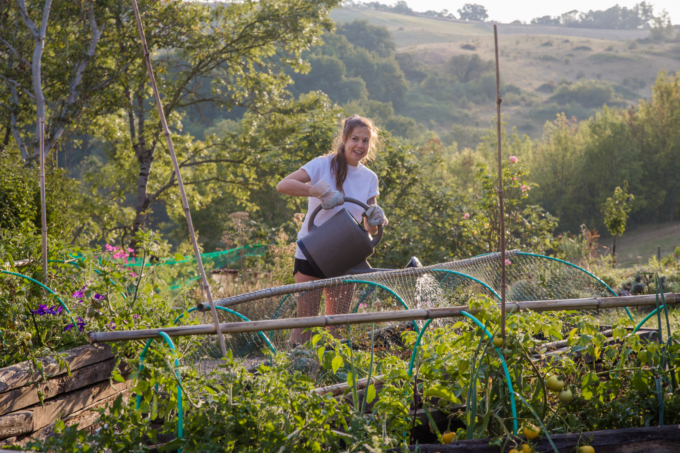 i most recently got to know three of them: jenske is from the netherlands, she is 19 years old and travels in france for a few weeks to help others with homework, farming, other small jobs and improving her french. she wants to do something good on her holiday, she said and without spending a lot of money. then there is a spanish guy, who talks very little but seems like a funny fellow. another man called william, is also helping and living on the farm with his own goats. he was living with his girlfriend, but things got too complicated and he decided to leave. 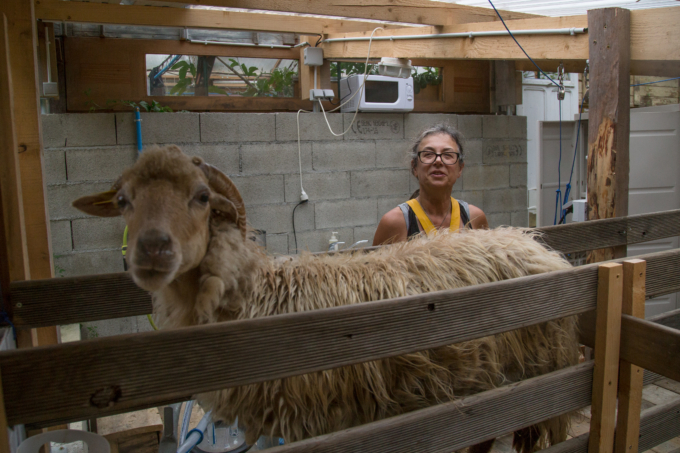 it is not easy to find a new place to stay if you own three goats, so he found jeanne who let him stay in return for taking care of all the animals and doing the hard labor jobs. 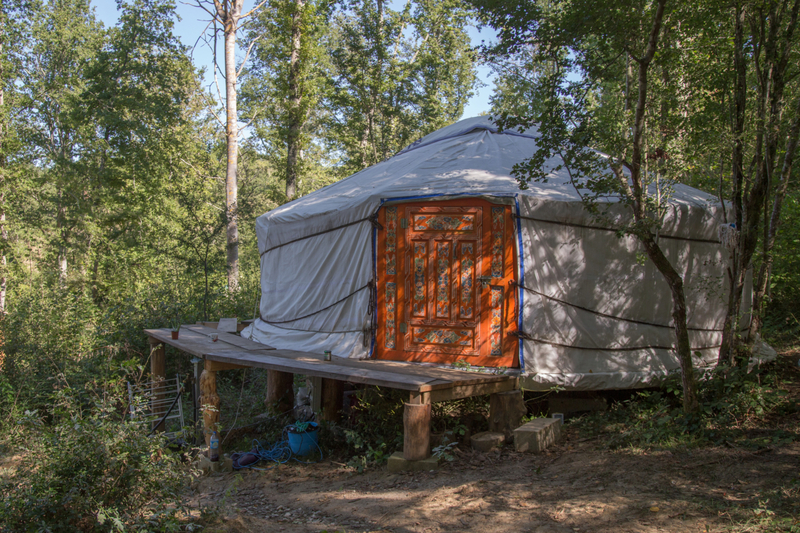 all are living in a hut in the forest along with a couple, who lives permanently in a little yurt on the farm. they take care of the farming process and vegetable garden, but at this moment they are in a one month holiday and travel somewhere. occasionally, there are more paid workers to assist with building or renovating jobs and sometimes jeanne ́s family will come for a visit with the small grandchild. it is always something going on here. in breaks between the tasks on the farm, i have interesting conversation with the other travelers, enjoy a nap in the shade and write or read books about permaculture. the fridge is stuffed with ingredients grown around the property. we are cooking dinner ourself in the evening. william brings cheese made from his goatmilk, we sit together and enjoy the meal and long conversation that include many philosophical discussions and how we want to live. i truely enjoy spending my time in like-minded company. the nights here are quiet, dark with a lot of stars. the rhythm of life goes with the sun. working outside and add in lots of physical activity, i sleep like a baby. sleeping in the forest in a house made of wood also keeps me breathing in good air. the working hours are in the morning and tapers as it heats up in the afternoon. jeanne explains the tasks while we walk around the property. next to the main house is the chicken trailer. it has to be opened every morning and water and foods scrubs from the kitchen needs to be given. 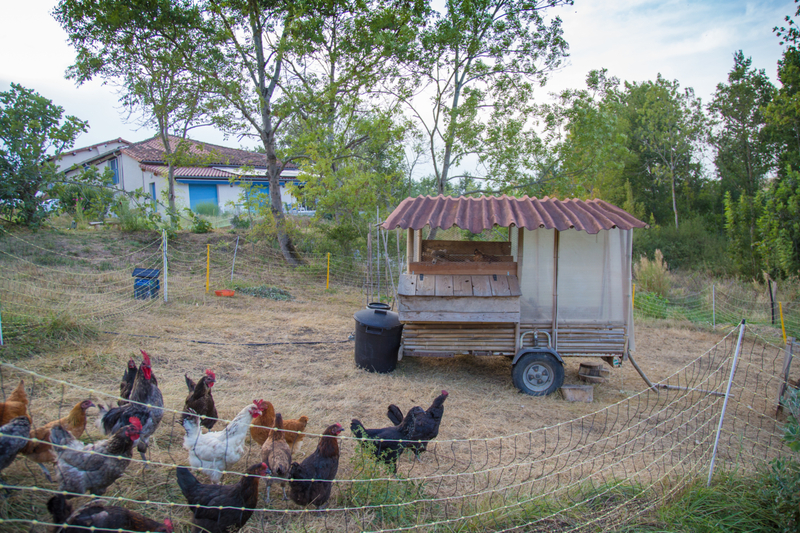 baby chickens are born on the farm and grow up in a fancy house on the other side of the property. on the next parcel of land there are two donkeys and a second chicken house, on another plot are the sheep and on another one the goats. the animals are fenced in but have the freedom to move on a wide plot of land as they want. they have a lot of space living next to each other there will be 5-7 eggs every day depending on how many chickens want to lay. the chicken don ́t require much; a few grains in the morning and the kitchen rubbish every day, there is plenty of food. 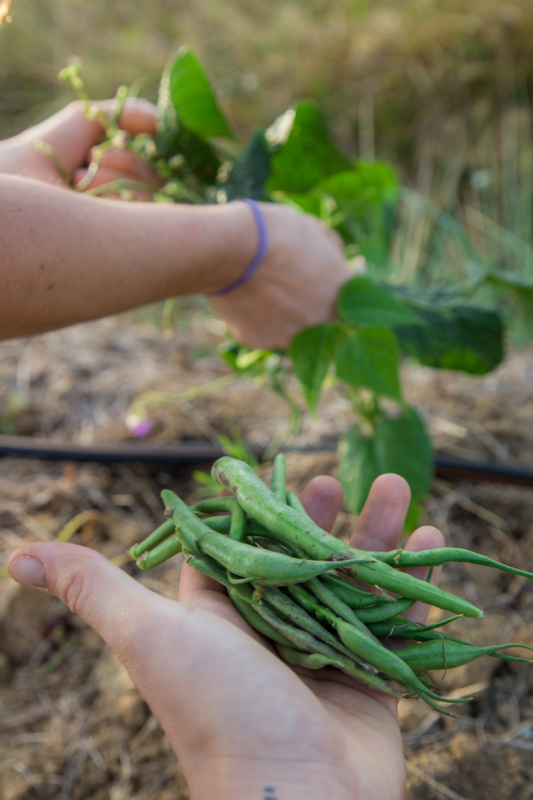 they love to pick the weeds from the garden which are recycled into compost. living compost turners, one working step less to do for us. the sheep are milked everyday before they go out of the shed on the field. the shed and milking street are very well constructed. the mothers and babies are separated over night. in the morning they get forced into the milk street. 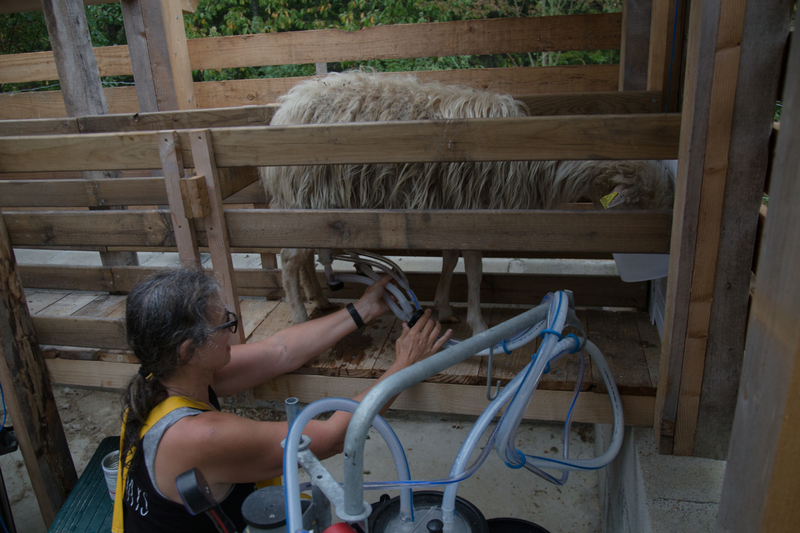 one sheep at a time gets in, where food is waiting, with a sponge of warm water the udder will be cleaned and the milking machine connected. jeanne has a microwave installed here which is only used to sterilize the sponges after use. in her opinion microwaves are bad for human use. after a short amount of time, there is not much milk coming any more and the sheep has to exit the milking street to the front. in which time, the kids come running to get their breakfast. one after the other the sheep come to get milked. 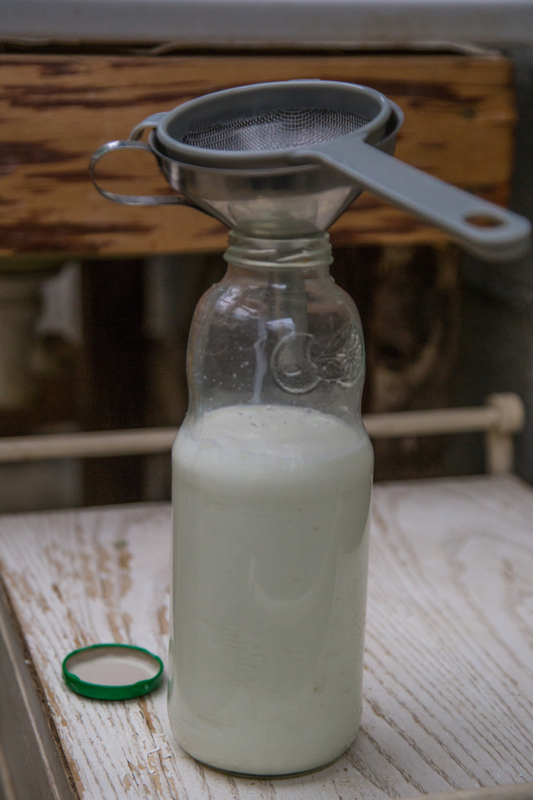 the whole process takes around 40 minutes and in the end there is around one liter of milk. it is questionable weather or not this work process equals the amount of milk but in the future, jeanne is planning to have much more animals. so this is only a training process. 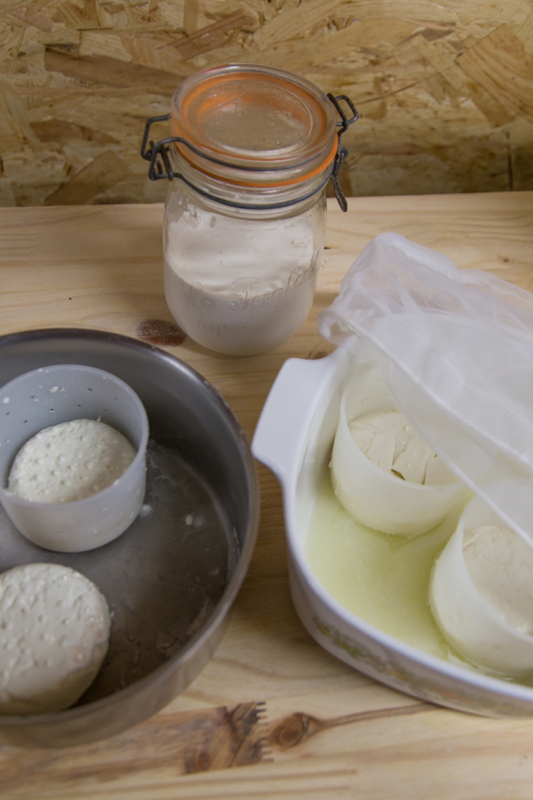 the milk will be processed into cheese, yoghurt or used for drinking and cooking. 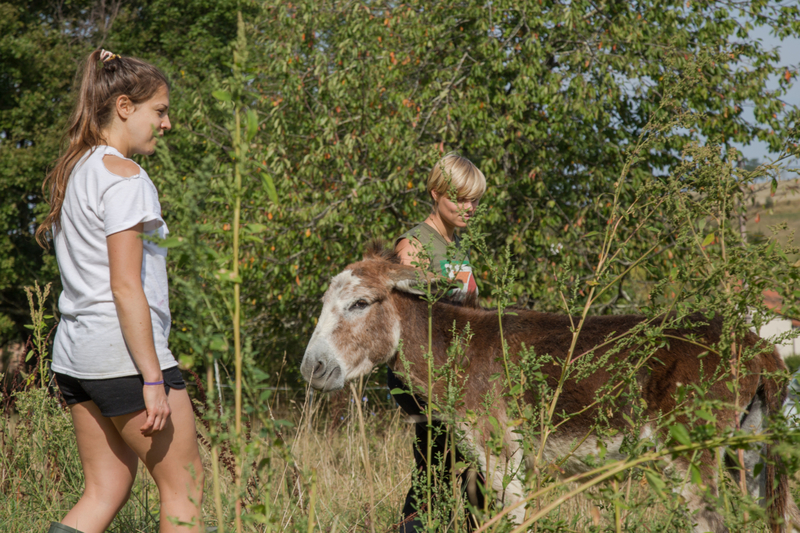 the manure from the animals are also used for composting and fertilizing the vegetable garden. 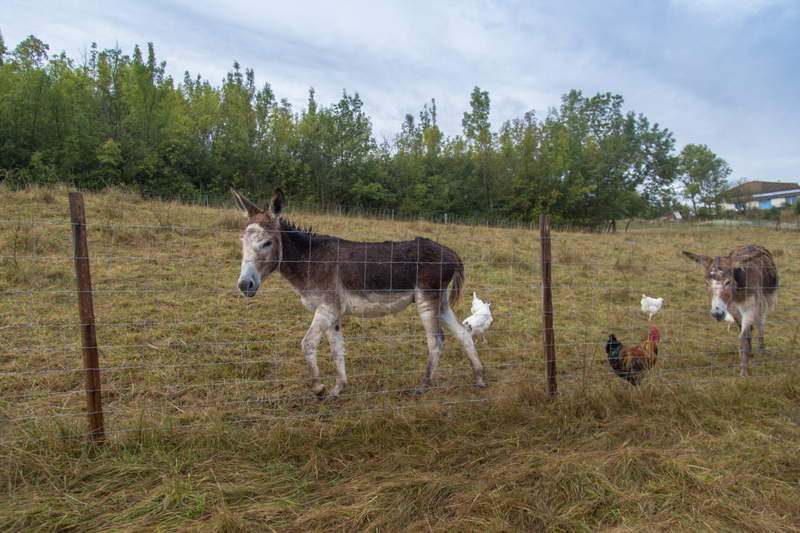 grassing animals are improving the vitality of the land. it is important to close the energy circle for a self-sufficient lifestyle. the animals need to be taken care of in a strict routine everyday; water, food, hygiene. uff so many rules. i give my best not to forget all those little tasks i have to do. next to the milking station there is glass house in which different vegetables are growing. in winter it is possible to heat the house with an oven made from an old petrol drum and clay. the area in front of the glass house has two long stretched raised garden hugelkultur beds. 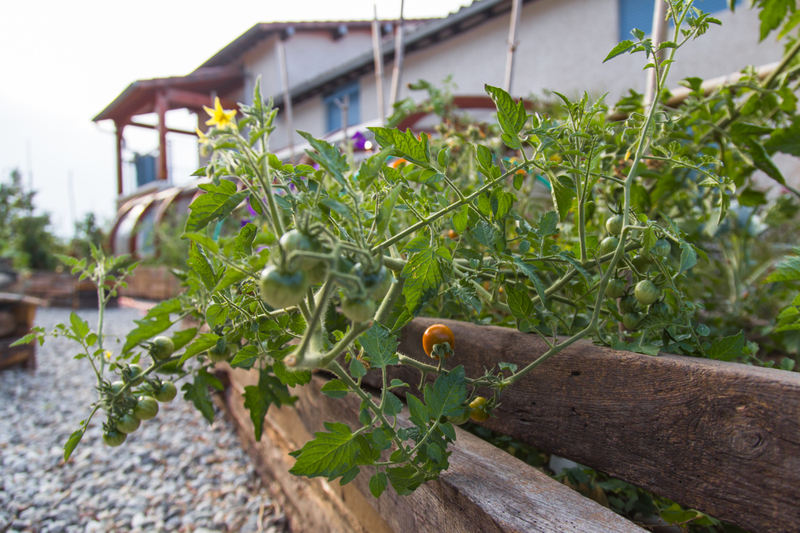 here you can find amaranth, pumpkins, tomatoes, eggplants and other plants. every second morning, i go out and harvest all the ripe goods. in a huge room with shelves the food is stored and there is plenty that needs to be prepared. in the short time of my stay we cooked three big pots of ratatouille to preserve the veggies. from the apples we picked on my first day here, we made applesauce with quince without preservatives or ex- tra sugar. it took most of the morning but was worth it as it tastes really nice. we then store it in jars in the freezer. the fig tree in front of the house,during harvesting season around 40-80 figs daily. 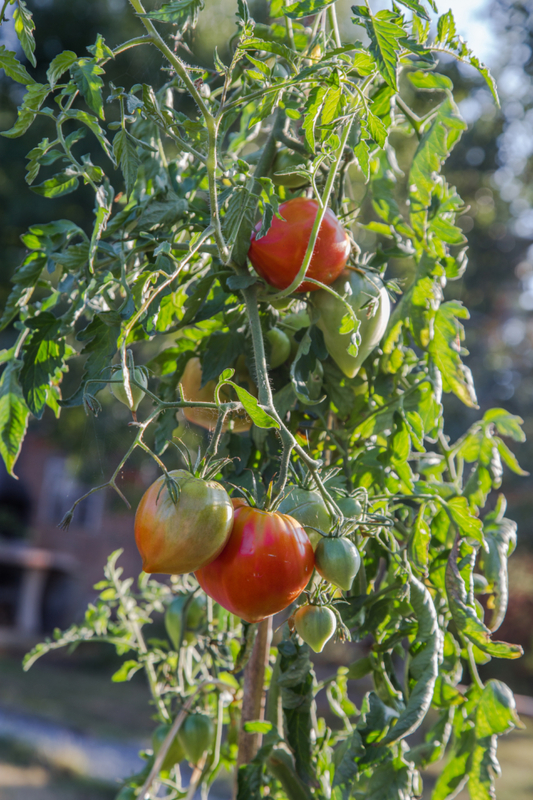 a dehydrator runs almost all day and night to dry them, the tomatoes and plums. this machine and several other electrical helpers, like the air condition, freezer, mixer and oven might consume a lot of power and are not very energy efficient. but all of the energy comes from the roof, jeanne says. the sun is endless why should we not use that power. the huge amount of batteries in the garage, that store the sun ́s energy coming from the solar panels on the roof, shows a certain capitalistic mindset in this holistic lifestyle. in any case of armageddon, this place can definitely sustain it self both energy and food wise for a while. every process that is needed for an independent life is well thought and beautifully constructed on this property. also waste water is filtered in a purification plant system and goes back to nature without leaving further damage of the ecosystem through toxins. on sunday i went on an excursion with william and his goats. the goats were following us everywhere. we exit the farm and follow the little road. 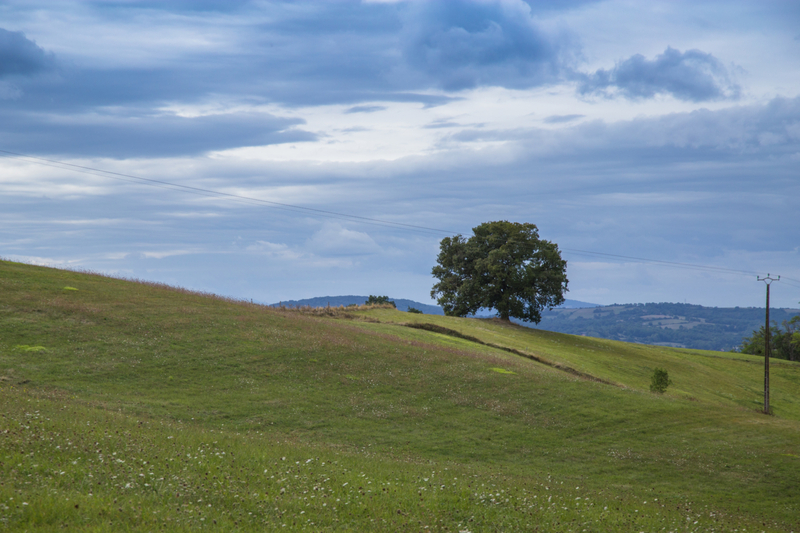 on the side there are walnut trees everywhere and we start to collect them. further on next to the road are bushes with blackberries. we start eating the endless amount of fruit no one harvests here in the wild. later on our walk through the countryside we come along a little settlement of camper vans, obviously an area where there are other people thinking and living differently. this area has more than one community living spaces. the direct neighbor of jeanne is the sainte camelle eco-village. every monday jeanne joins them for mantra singing in their round community house. our way follows the road to the next village. right behind a hill is an abandoned house which is used as mews for horses. 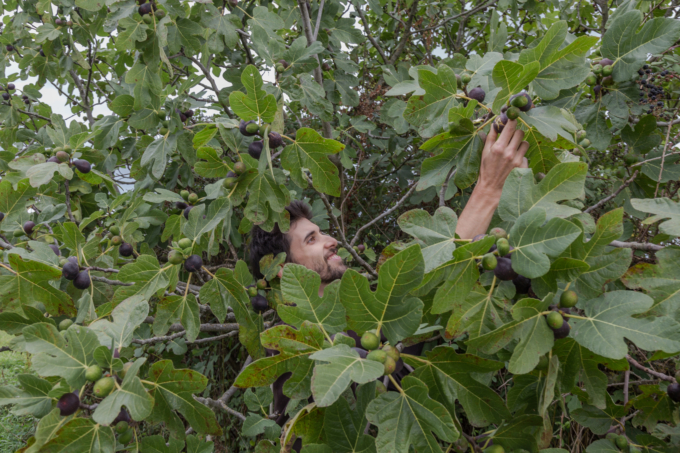 on this plot of land there is a huge fig tree with ripe blue fruit. we continue to fill our stomachs. the horses are curious about us. everywhere we go it seems we find food. 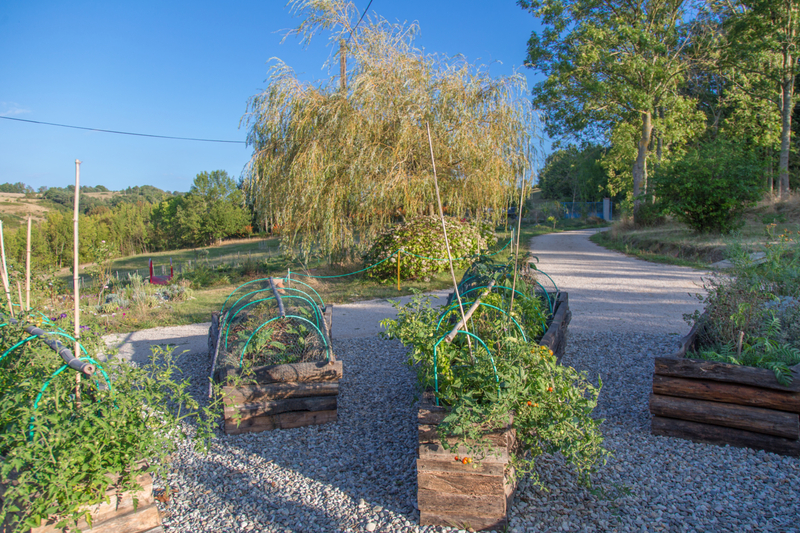 this area of ariege is home to a lot of wild fruit trees, abandoned nut trees, herbs and medical plants that makes it easier to live a self-sufficient lifestyle. my time on jeann ́s farm quickly came to an end and i learned a lot of new things about self sufficency. 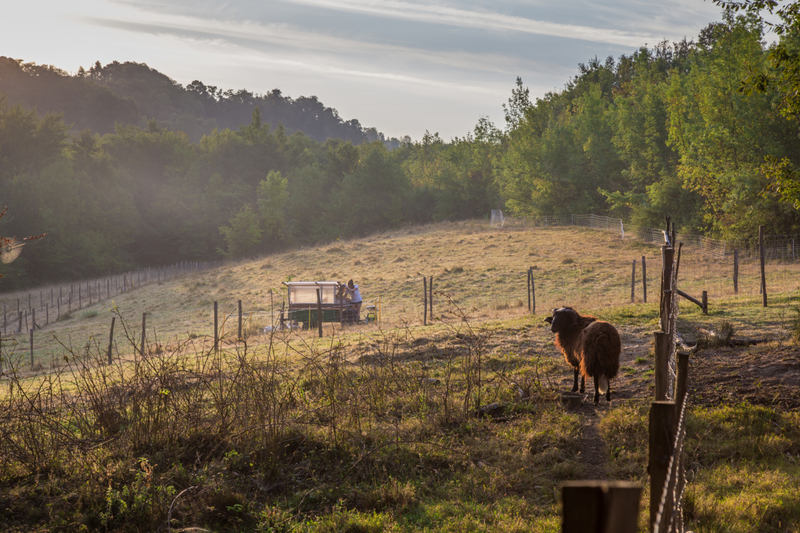 a life with animals is shaped from a strict routine and huge commitment, but the gain for the land and the source of yield might be worth the effort. 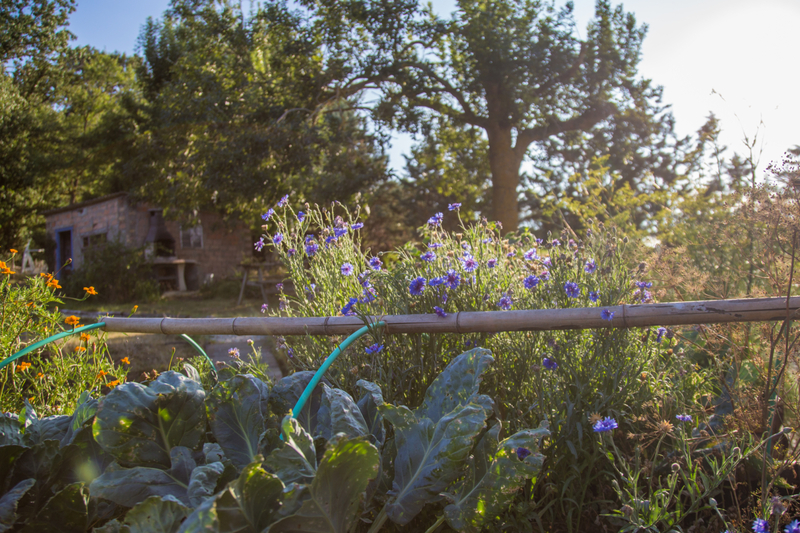 jeanne ́s dream became reality and she has established a well running farm, with the help of many people. she can provide healthy food and sustainable yet, independent lifestyle. you are welcome. have you been there?